Hi fellow pup owners! 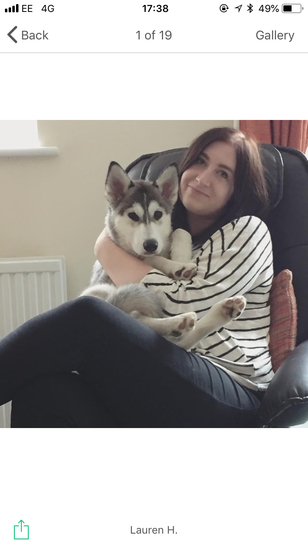 My name is Lauren and I live with my boyfriend Sergio and our lovely 10 month old husky puppy Luna in Chiswick. We would love to help out fellow dog owners by house sitting, walking and providing as much care as possible for your pups whilst you're away. 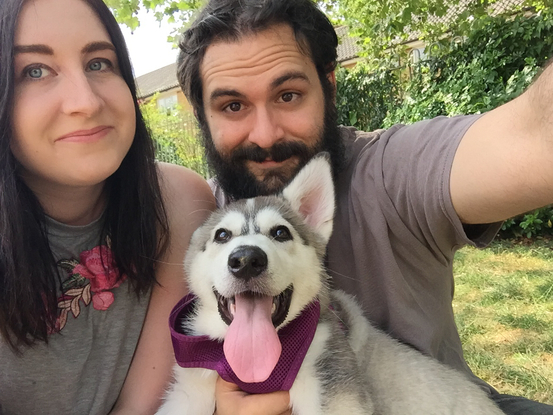 We are very comfortable with puppies under one year old (we've just raised one) and can help with any training you're currently working on too. We understand the struggle of trying to find someone you trust to take care of your dogs whilst you're away or at work. Please rest assured we would take care of your dog as if it was our own. We would make sure they have lots of fun and are well looked after. We can house sit in your home, or you can bring your pup over to meet our very playful Luna and we can care for them at our 2 bedroom apartment. We would be able to take them on long walks around Chiswick House & Gardens as well as being able to play in our large private back garden. We have no breed or size preferences for pups coming into our home we just ask that we make sure we can organise a meet and greet beforehand so the pups are comfortable together. As we both have jobs (Accountant & Tech Support) the majority of daycare and boarding we can provide is at the weekend and public bank holidays. We are more than happy to housesit evenings, weekends and during the week but pups need to be comfortable with being alone whilst one of us is at work. We are able to cat sit at any time. Look forward to meeting you and your pups!